On March 4, Chilean actress Daniela Vega took to the stage to present the Oscar for Best Original Song, and in so doing, made history. At age 28, Vega became the first transgender presenter in the 90 year history of the Academy Awards. Vega’s appearance marked a watershed moment for transgender people in the entertainment business, and a new level of visibility for the LGBT community in Hollywood. Vega set fire to the world with her widely-acclaimed performance in A Fantastic Woman. The Chilean film about a transgender woman protecting the legacy of her boyfriend earned rave reviews and went on to win the Academy Award for Best Foreign Language film. In the midst of it all, Vega–a trained opera mezzo-soprano who’d never acted in a film before–became an international sensation. 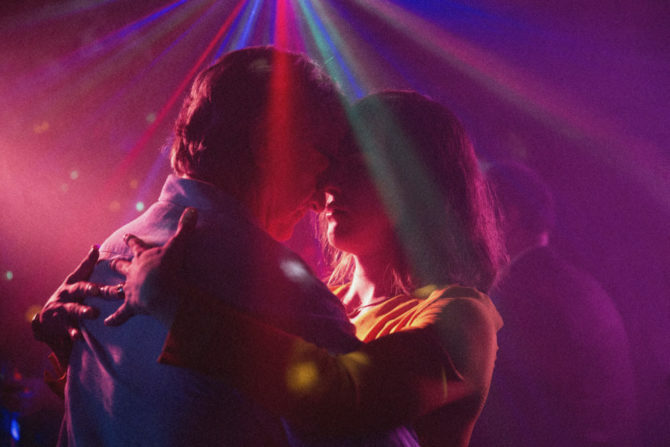 With A Fantastic Woman set to hit Blu-Ray May 22, the soft-spoken Vega (along with her translator) took time out of her busy schedule for a quick chat with Queerty. So the film is a story of a transgender woman protecting the legacy of her lover. Do you feel like the film’s story reflects your experience? I would say more that, in general, in the world, there has never been much reflection on what it means to be transgender. So it’s not so much about being a Latina transgender in particular. Did you have any concerns about taking on the role that many people will hate in a time when trangender people are being attacked around the world? No, I didn’t fear at all. I didn’t feel any fear. I actually thought it was something very entertaining to do, so I said I would do it. I prepared myself by taking Salsa lessons, and classes to drive a car. I learned two opera arias that I’d never sang, and also I took care of my body physically. It was beautiful. I had a very good time, and I tried to do the best I could. And I think that people enjoyed it very much. I don’t see myself as an activist. I am an artist, and I pride myself on sharing issues with the world. Was there anywhere you promoted the film where you felt uncomfortable as a transgender person? I feel comfortable in the world, and I think we can fix the world everyday for the better. We just have to get out there and tell our stories. In the United States, there’s a currently a lot of discussion about the casting of transgender characters in films and television. So I’ve answered this question twice before in interviews, and I have two answers for this. The first answer is that as an actress, as an artist, I feel that when you want to create something, you don’t have too many limitations in order to do it. Just like I am a transgender woman in real life, I’m an interpreter of both transgender and cisgender roles. And I feel that if there’s an actor or actress who wants to create or explore this kind of role, I think it would be a positive thing. Now I think that the question that would come afterwords—the question now—is up until now, why has a trans person not been considered for creative endeavors? With all this acclaim, do you intend to keep acting or do you intend to return to your roots in opera? I know you’re classically trained as a vocalist. I want to continue creating. I want to continue singing in opera and acting, and keep proving to myself my artistic capacities, to see what else I can do. That’s wonderful. We very much look forward to see what comes for you next. A Fantastic Woman hits Blu-Ray this May 22. Foreign films are often difficult for Americans who are used to “blockbusters” where dialogue and character development are simply filler between chase scenes or violence. This looks like it would be great on the small (or very small) screen.